We love leather, dogs, bags and design and bring you a collection of artisanal dog collars and bags. We love to develop new and custom products and to explore new techniques, so talk to us if you need something special! 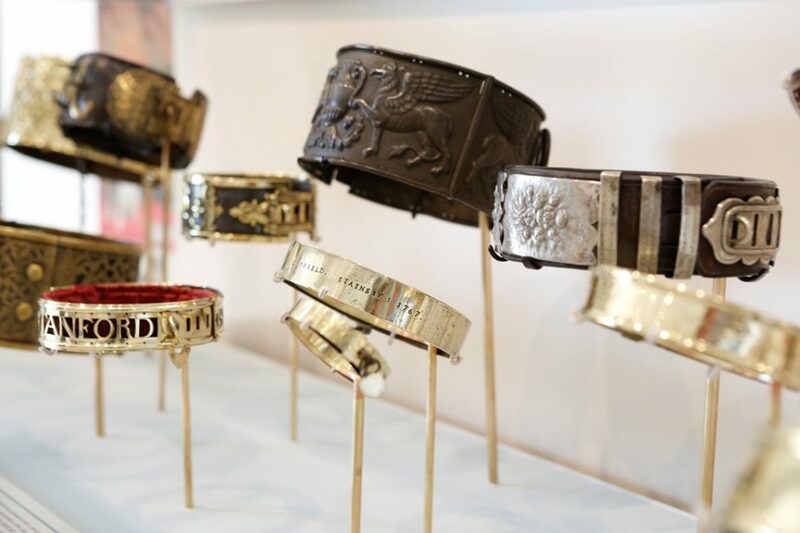 Choose a collar from our standard range or get your own custom collar made. Luxury ostrich leather bags and accessories and other custom projects. Talk to us if you need something special! It all started in 2010 on a visit to Leeds Castle in Kent, UK. Hidden in the outbuildings of the castle was a dog collar museum; this was such an unexpected delight! Even though I've always been a dog lover, I've never really paid much attention to dog collars. It all changed during this visit as I realised that a good dog collar, apart from its functionality, is an expression of the owner's love and pride. About 5 years later we've adopted Jesse, an English Pointer, and she very quickly became the centre of our lives. I wanted to buy her a nice leather collar as the ones we've bought never lasted long. I couldn't find anything nice locally and ordered one from the USA. This collar was a good choice as it could withstand a swim in a dam and rolling in mud and still look good after cleaning and polishing it. I started making dog collars, amongst other things. Point Leather was born with Jesse featuring in our logo. Since then our range has grown steadily and we now also focus on showcasing our uniquely South African springbok and ostrich leathers in a range of luxury accessories and bags. In between, we've completed many custom orders, ranging from hunting accessories to interior deisgn items. The journey is ongoing and every new request is a challenge to explore the limits of leather! It gives me so much pleasure to make the collars and see the happiness it brings to dog owners. Every dog deserves a nice collar!